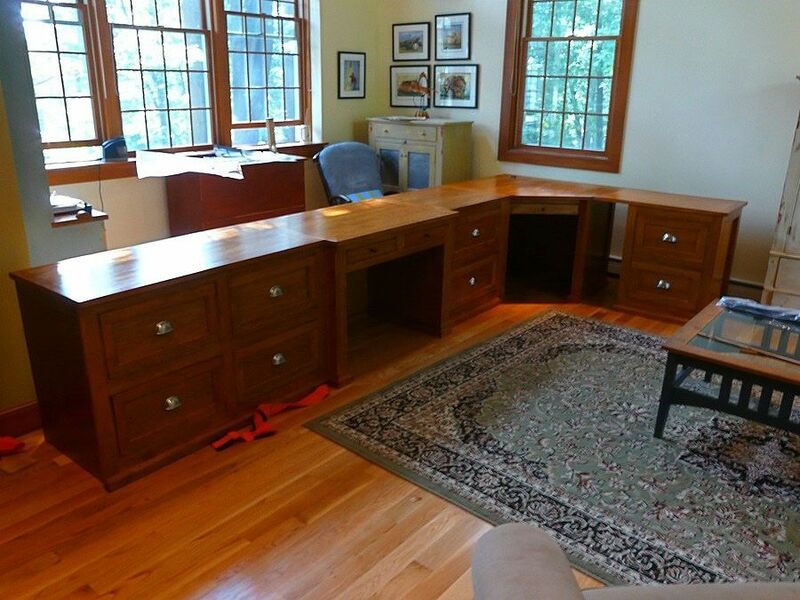 Custom designed cherry desk, with five separate units. All drawers are made from solid maple with dovetail construction and heavy duty slides for larger drawers. Hand rubbed oil finish on each piece. Can be constructed to fit within any space provided with options added.